Lupin, Goemon, and Jigen take a mini-helicopter and head to the mysterious “Drifting Island” looking for a treasure rumored to be hidden somewhere on it. Through their exploration of the island, the trio encounters the lethal “Nanomachine,” the island’s security system. The trio triggers the alarm, springing “the Nanomachine” to life. The key to solving the island’s mystery lies in the small nation of Zufu. This once prosperous nation is now ruled by the ruthless, knife-collecting, General Headhunter. Fujiko does her usual probing and hacks into General Headhunter’s computer hoping to find some crucial information. Zenigata has received a video message from Lupin in which Lupin announces his desire for the priceless treasure. 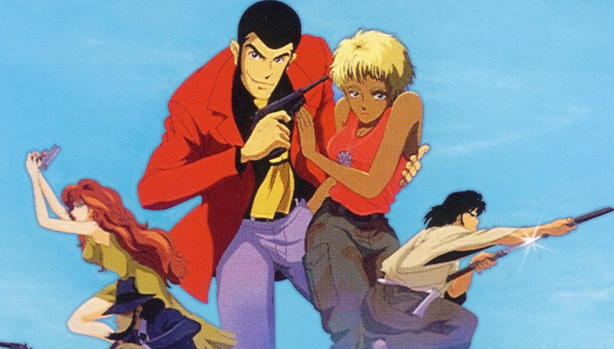 Oleander, a fiery blond officer with some hidden secrets of her own, steps in to help Zenigata. Armed with their newly found information, Lupin, Goemon, Jigen, and Fujiko go back to “Drifting Island,” but this time they are followed by General Headhunter.